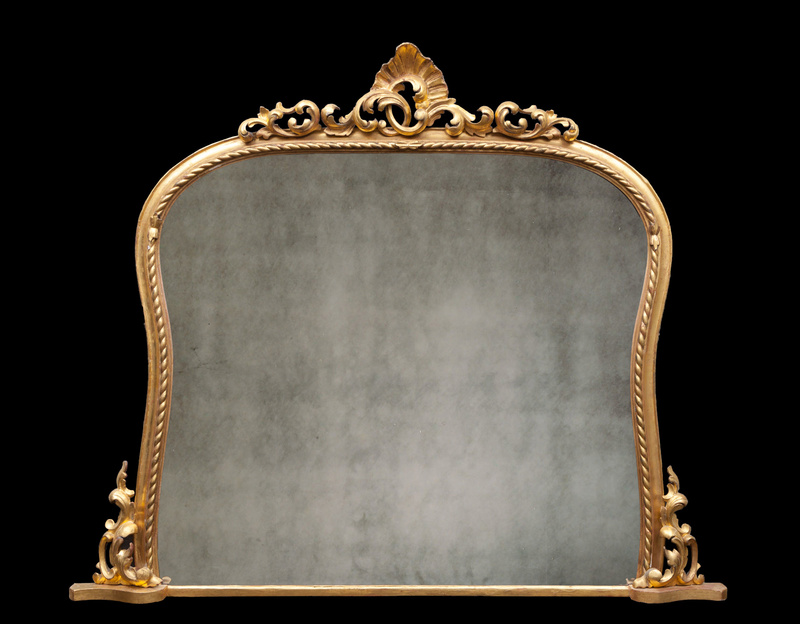 The rope twist decorated shaped frame, surmounted by an ornate foliate pediment with flanking carvings to the base. 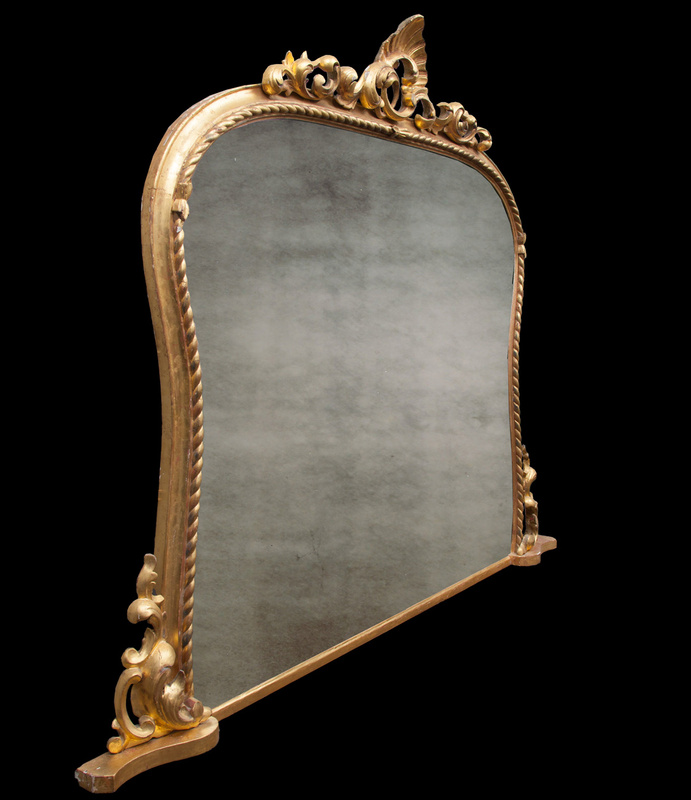 The original gilding is a great colour and the overall condition of the mirror is good. A difficult size piece to find.